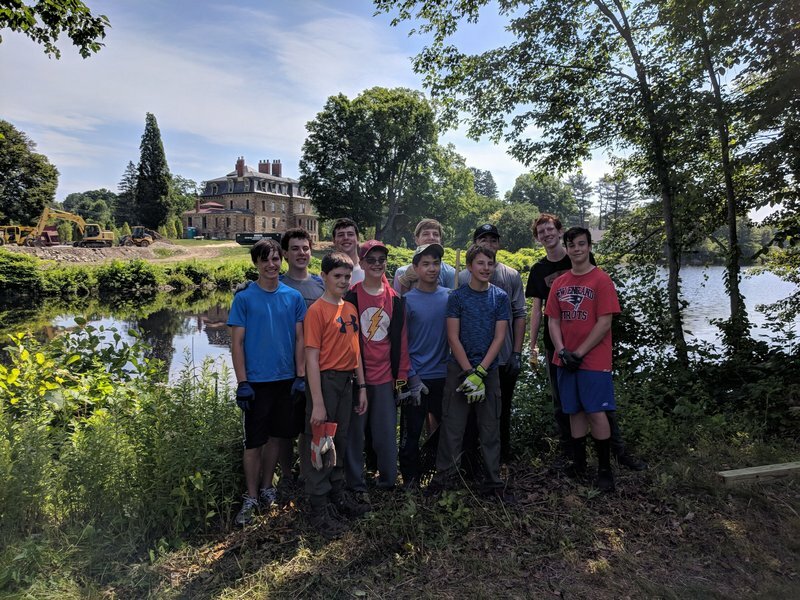 The Southborough Trails Committee (STC) asked me to share some thank yous and some news. 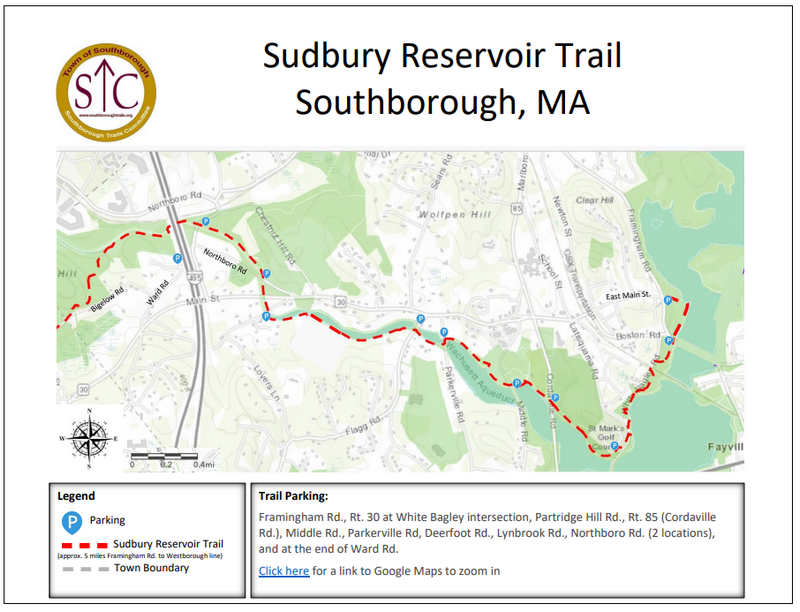 Most of it relates to the Sudbury Reservoir Trail. 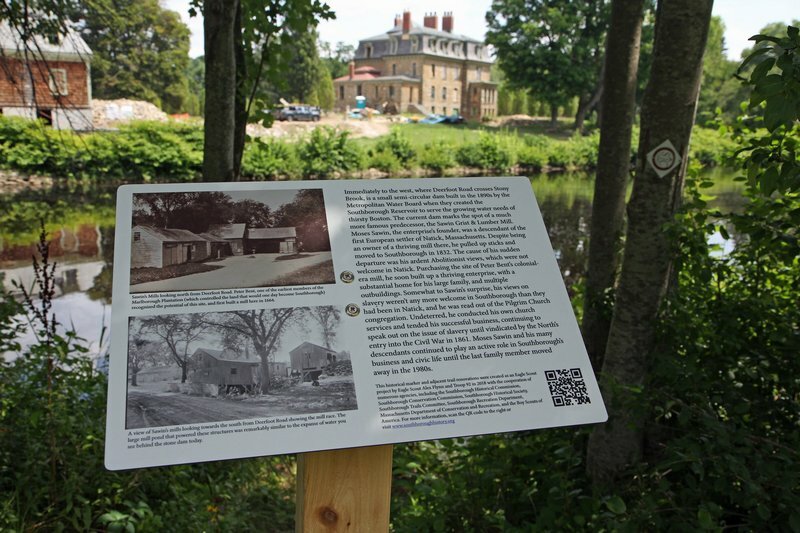 But it’s also worth noting that it’s now easier to find information of all of the Town’s trails – here. STC has revamped its website to include project recaps, photos, and updated maps. Under projects, the committee includes information on the most recent enhancement. They asked me to highlight that project and their thanks to those involved. 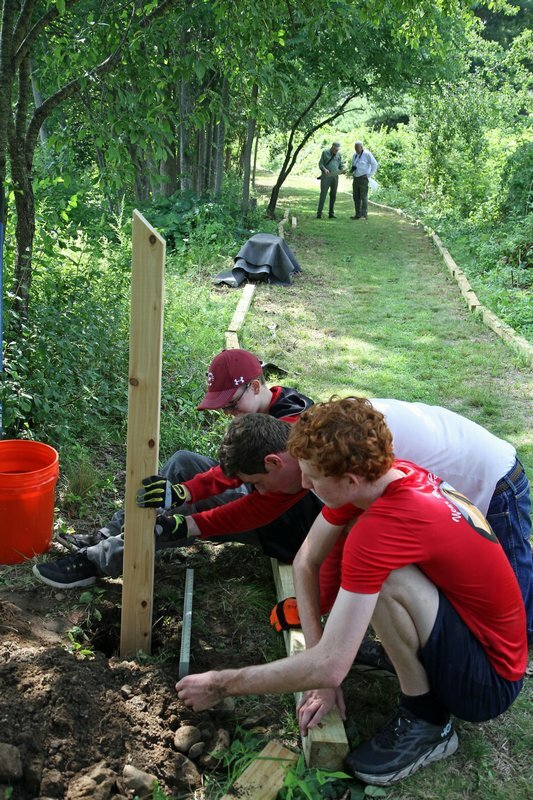 Thanks to Troop 92 Boy Scout Alex Flynn, a section of the SRT has been enhanced. 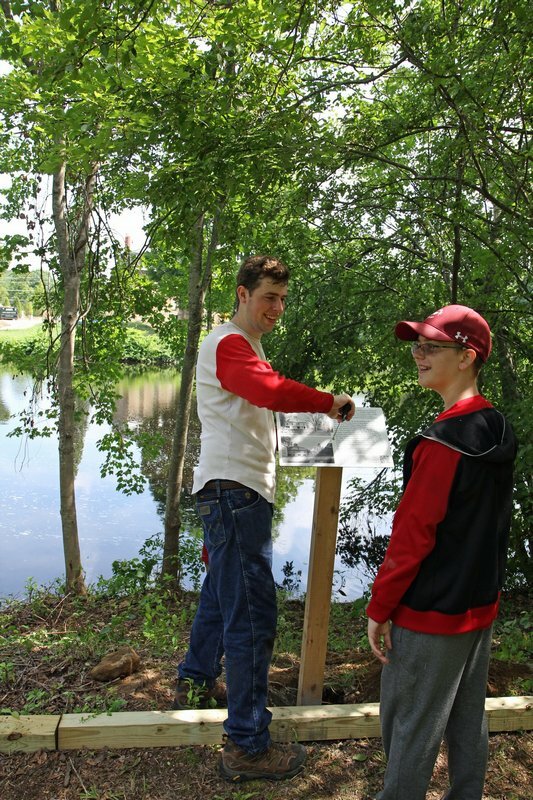 Flynn’s Eagle Scout project made several improvements. And, at STC’s suggestion, it includes the committtee’s appreciation for preservation efforts by another resident. The trail is cleaned up for walking along the reservoir behind the Burnett House (aka Garfield House and Deerfoot estate). 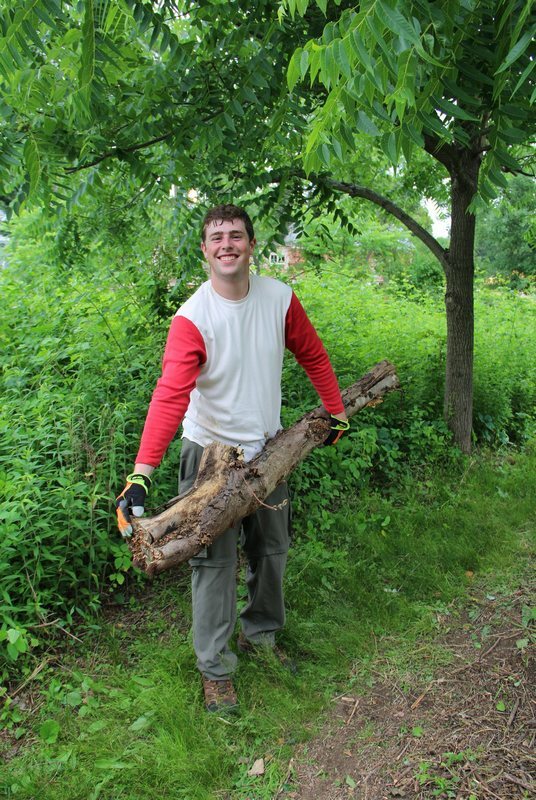 Volunteers cleared brush to widen the walking path and lined the trail with lumber to help keep foliage off the trail. To make the most of the view, hikers can take a load off on a stone bench overlooking the property. 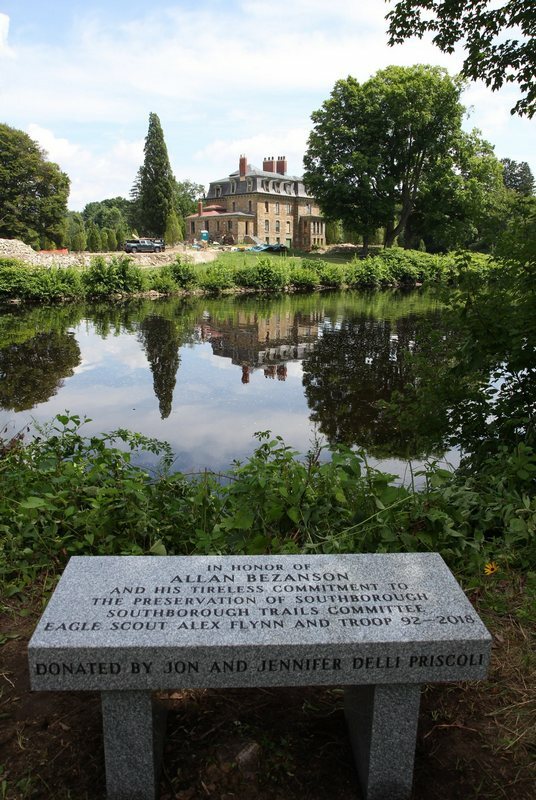 That bench is engraved with a dedication to the preservation efforts of resident Allan Bezanson. 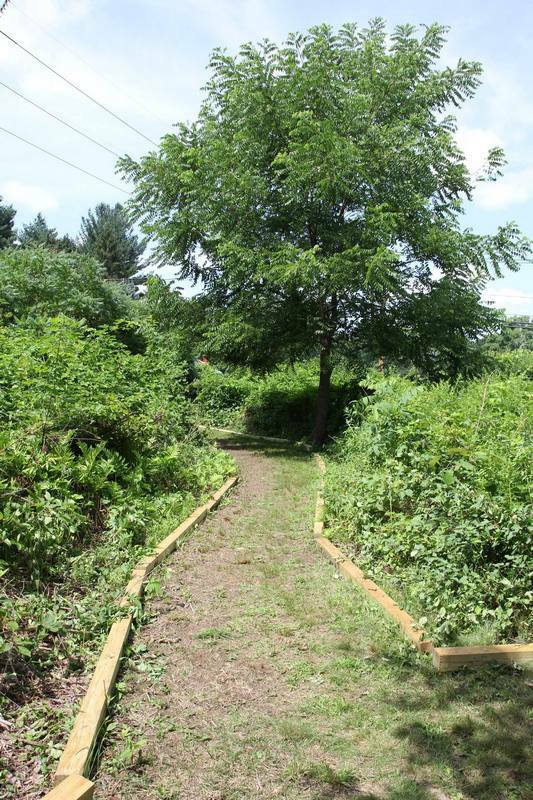 The Committee appreciates your contributions of trail enhancements and historical preservation. . . 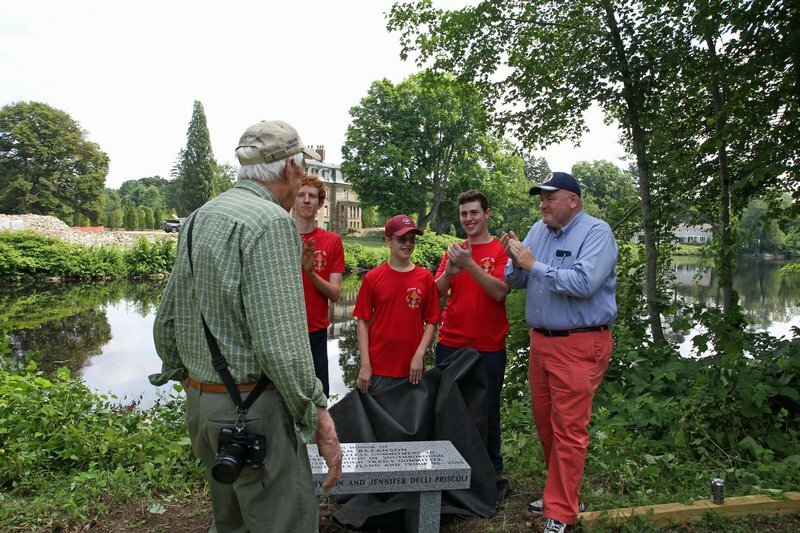 The dedication of the stone bench to a loyal project supporter and long-time trail steward, Allan Bezanson, was a great show of respect and appreciation for another’s contribution. . . The committee recognizes the dedication, hard work, and perseverance you showed throughout the project. You conducted yourself in a kind and respectful manner while successfully navigating the various municipal departments, committees, and state entities to get the necessary approvals for the project. We also recognize the strong leadership you demonstrated through the coordination of volunteers, your fundraising efforts, and the countless hours you gave to the project. 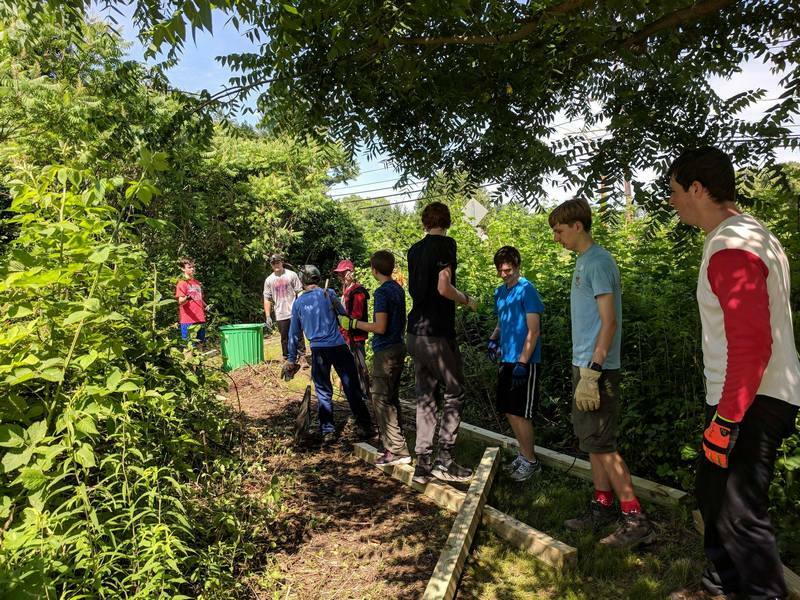 With input from the various committees I have been working with, the project has been constantly tweaked and changed up until we completed it. 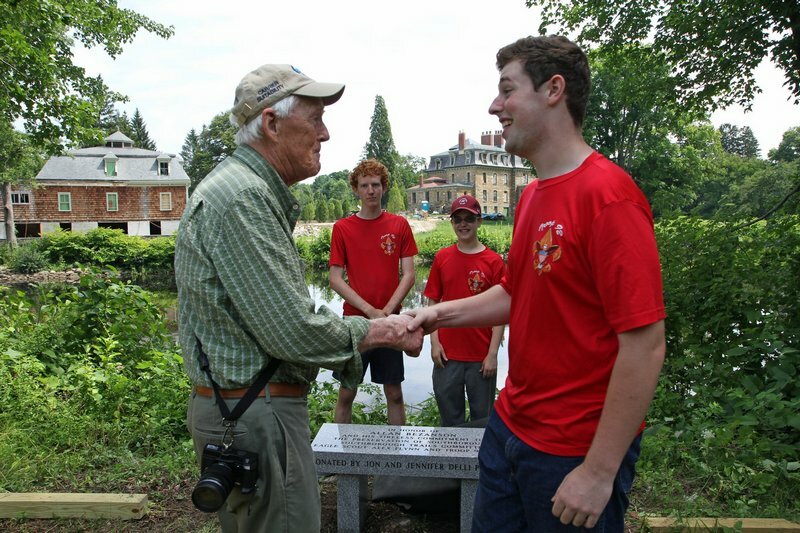 . .
I’d like to extend a huge thank you to all of the groups and individuals who helped me throughout this whole ordeal; Mr. Allan Bezanson, Mr. Jim Hegarty, the Scouts and leaders of Troop 92, my mother and father, the Southborough Historical Society, the Southborough Historical Commission, the Southborough Trails Committee, the Southborough Rec. Department, the Southborough DPW, DCR, Mr. Jon Delli Priscoli and his family, Louis Monti & Sons, Home Depot, and Alltype Signs. Updated (4/24/19 12:04 pm): I accidentally referred to Deerfield estate instead of Deerfoot. These trails are a really wonderful amenity, made all the better if they are kept open and free of invasive bushes. Many thanks.